MainAll NewsRadioWhy do the Jewish people go all out with the Torah? Why do the Jewish people go all out with the Torah? The connection between Torah and personal and world rectification. 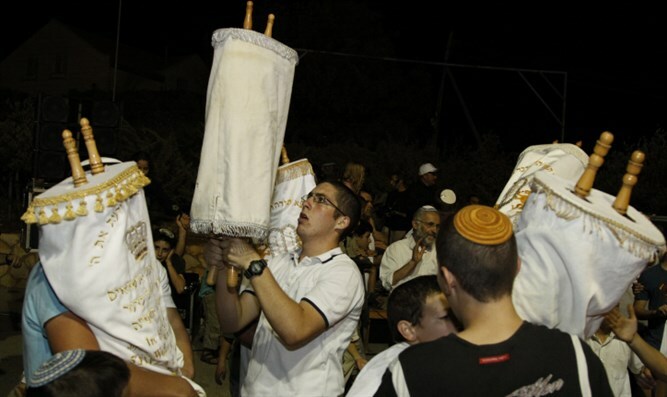 On the eighth day of Sukkot (the ninth day in the Diaspora) we celebrate Simchat Torah. All around the world Jews dance with Torah scrolls, something you don’t find occurring in other world religions. The Muslims do not dance with the Koran, and the Christians don’t parade around with the New Testament. So, why do the Jewish people go all out with the Torah? It has to do with Torah itself, and what it does for the person and world rectification. After discussing that, the show looks at the role of the imagination in life, and something called “Replacement Therapy”. The last segment deals with the idea of Divine decrees and their impact on history.